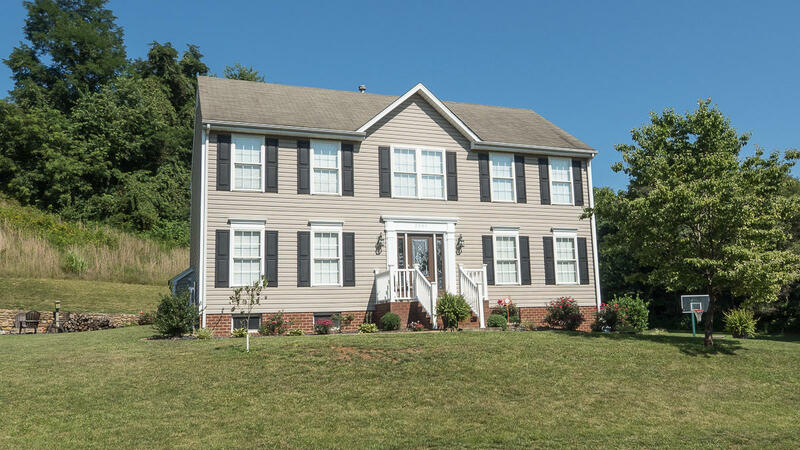 Fantastic home in dream location, easy walk to school, and Greenway trail across street. Gleaming hardwood floors throughout both living levels, refinished in Nov. 2013. Spacious Kitchen with island, large pantry, appliances updated Dec. 2013. Open floor plan, french doors to Living Room, New covered back porch and fire-pit to extend living space. Spacious, semi-private large yard with great landscaping (shale much & concrete curbing). New paint throughout 2014. Updated Baths upstairs with ceramic floor & tub surround, commode, faucets, lighting & new master vanity top. Oversized garage and lower level decorated as Rec Room. Great house at an exciting price is move-in ready!